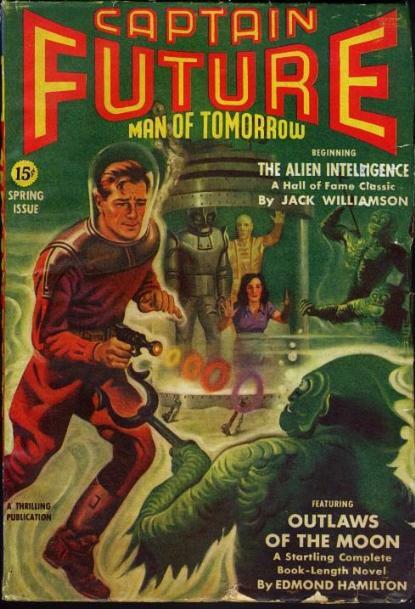 In the 40s of the last century the writer Edmond Hamilton published a series of science fiction Pulp novels whose protagonist was Captain Future. In the 70s several of these novels were republished, and appeared an anime version of 53 episodes that was very successful in several countries. The series and books have so many followers that an adaptation to the big screen is planned. I was surprised, because I had never heard of this Pulp magazine hero. 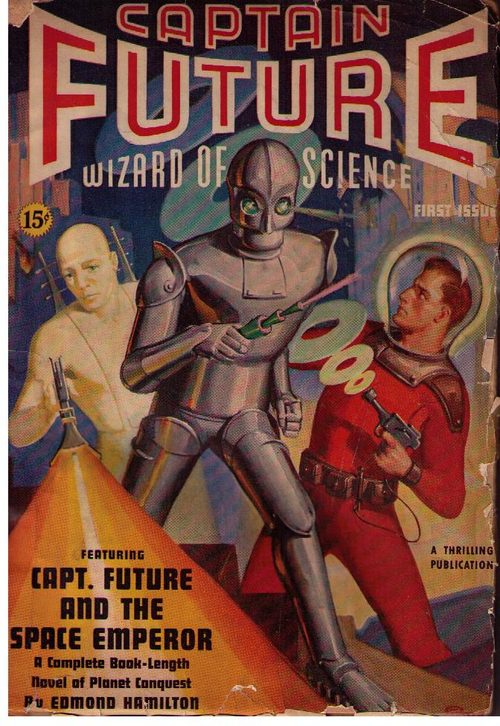 The stories of Captain Future are located in the near future (in the first novels in 1990 ...) in which we have colonized and even terraformed some of the bodies of the solar system. The real name of the Captain Future is Curtis Newman. His parents, two important scientists, were killed when he was a baby, and he was taken care of by three rather singular characters: Grag, a smart robot, Otho, a white-skinned droid, and Professor Wright, a former collaborator of his parents who was about to die of an illness and whose brain is stored in a transparent and mechanized case that allows movement and communication with his peers. Under the tutelage of these three picturesque characters Curtis grows in a secret moon base, hidden to avoid being found by the murderers of his parents. Curtis ends up being an excellent scientist and a great athlete. His scientific background will allow him to invent various gadgets that will help him in his adventures. In these adventures he will also be accompanied by Joan Randall, a beautiful agent of the planetary police who provides the inevitable feminine factor to the story and for which Curtis is attracted. 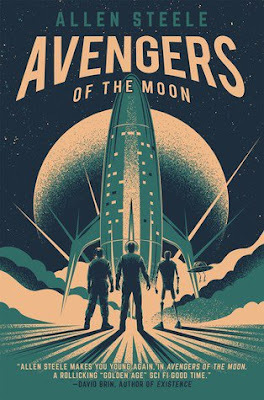 The American writer Allen Steele has paid homage to this saga, and in the novel Avengers of the Moon has rewritten the origin of this character and his first adventure, but with the scientific knowledge and a style of our time. The result is an entertaining, somewhat naive, adventure story of classic science fiction. Some aspects of the plot and the setting are very interesting, such as the terraforming process of the planets, the genetic modifications necessary to live in the different conditions of the bodies of the solar system, the sociological consequences of these modifications and the presence on the moon of some glyphs written by an extraterrestrial species from Deneb. The aspiration of the novel is to entertain, and in that is a success, but I would have liked more that it had deepened in some political and sociological aspects of this universe. Therefore I recommend you if you are looking for an evasion reading exclusively. You will have a good time. I do not know if Allen Steele intends to continue the stories of Captain Future. If he does, here he will find an interested reader, this universe has aroused my curiosity.